The Yankee Candle Company of South Deerfield, Mass., is recalling about 31,300 luminous candles sold in the U.S. and Canada. The glass jar can crack when the candle is lit, posing a laceration hazard. The firm has received 16 reports of the glass jar cracking. No injuries have been reported. This recall involves Yankee Candle’s Luminous Collection fragrance candles. 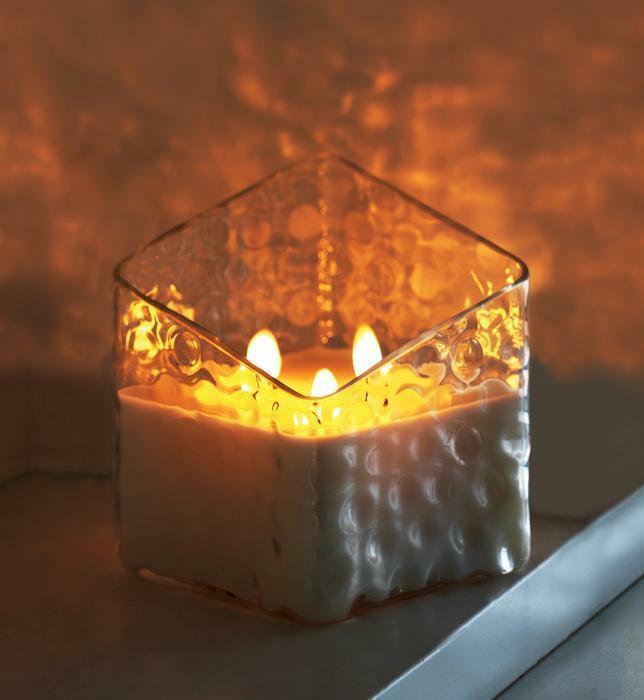 The square glass candles contain a fragrant wax with three wicks. The item number is printed on the bottom of glass candle jar. The recalled candles are approximately 4 inches wide by 5 inches high. Consumers should immediately stop using the recalled candles and contact Yankee Candle to receive a full refund. Consumers may contact Yankee Candle toll-free at 877-803-6890 from 8 a.m. to 11 p.m. (ET) Monday through Friday, 9 a.m. to 9 p.m.(ET) Saturday & Sunday or online at www.yankeecandle.com and click on “Luminous Candle Collection: Safety Notice” at the top of the page for more information.